Can you watch movies on Netflix using any of these Haiti Internet service providers? I hate to say it but... Next door to us you can get high speed internet access at home for less than 1,000 pesos per month. I just paid 1,600 gourdes for my Natcom Internet and I am at the point of ripping my hair apart. Is there any Internet service provider in Haiti who offers UNLIMITED high speed Internet for less than $50 US per month? 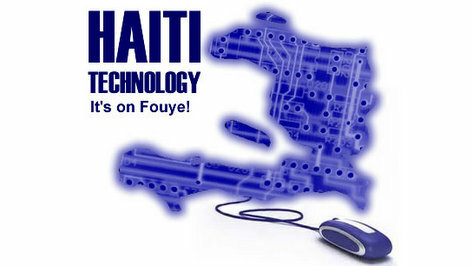 « Unlimited Internet Access in Haiti - Who do you Recommend? wi, ki jan fè yon peyi di k li louvri pou biznis ki manke entènèt aksè mank. Mwen sispèk ke ayisyen gouvènman an fè espre kenbe majorite pèp la nan peyi a nan povrete. sonje sa a: si Ayiti ap pwospere, lè sa a ayisyen gouvènman an pa pral resevwa èd entènasyonal. No, you will not have that in Haiti. There is an embargo in Haiti nothing is cheap there, they made it this way not to attract businesses, this way nothing will get done. Our next door neighbor, Saint Domingue, we can get all kind of services for a fair price, not Haiti. This is the price that we're paying since 1804. Well, shame on all the brothers who have sale their sole away to the outsiders whom need to patronize the country, Haiti. Mezanmi an nou pale de koze Internet saa an Haiti, se yon problem ki emerde m anpil. Tout konpayi di yo ap bay internet rapid nan peyi dayiti men se kon w pran ou konnen. Natcom di li bay Internet san limit men depi-w depase 3.5 jiga oswa 7 jiga yo baw la internet la bon pou whatsap selman, zafe nagive a se bliye sa. Digicel internet is better than Natcom's. I mean Digicel speed is better.